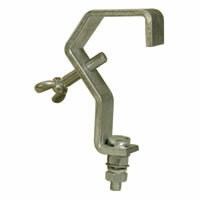 Special screw clamp for light effects. "G" shaped for universal applications. Fits on poles up to 55mm diameter.